Running a Bulletin board on a CPC sounds impossible. Malcolm Arnold, our intrepid explorer, tells you how. Set up a bulletin board on a CPC? Vbu must be joking. In August, 1988, having bought a more exspensive auto-answer, auto-baud scanning modem specifically with that project in mind, I was starting to pick up bad vibes. If you owned a BBC or a PC, apparently, you had to avoid drowning in the deluge of possibilities in terms of available software -a 6128? In desperation I put out an SOS on the Cage, the Micronet Amstrad area. Within two days Andy Keeley Mbxed me with the offer of his viewdata software, currently running as Julian Sinclair's Cynotel. I thanked him but I had really set my heart on a scrolling board. My lonely on-line search continued from board to board - " BB sox for a CPC? I know a board running on a ZX-81 somewhere" - until one night it seemed as if a new star appeared in the heavens and my life became like a Bounty advertisement. I went in search of paradise and found it in Infotel ROS. There the sysop. Mohamed Salleh, infomred me that not only was the CPC an adequate BB host but I had a choice of software. At that juncture there were two major possibilities. ROS and XRAS. ROS has become something of a standard among BB software - and it was free but Salleh told me I would need Turbo Pascal to compile it. XRAS, on the other hand, was also free and, though a less sophisticated option, it was reasonably simple to set up. to call it quits. His reasoning? If the software author was unwilling to support his brainchild - he was not - why should Salleh run himself into the ground in the process? So what next? The mysteries of Turbo Pascal? No, another contender had arrived on the scene. Salleh, ever the matchmaker, introduced me to Biane Bramble, who was neanng a creative crescendo with a new bulletin board package for CPCs and PCWs. Named BullDog. a sideways reference to FidoNet, it cost £25 and could be put together using ordinary public domain CPM utilities. It also had the added bonus of having an author who is still committed to the development of the software. Not only were new on-line features in the pipeline but direct technical support was just a telephone call away. 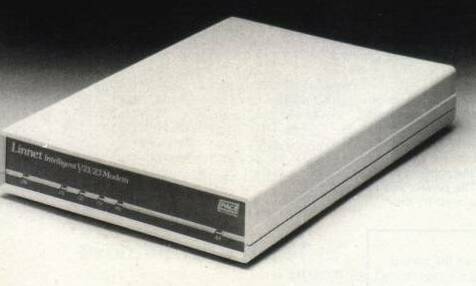 I knew where to find the software, and I already had the modem - a Pace Linnet intelligent V21/V23 model. What else did I need? More storage capacity. Even stripped to essential files, the BullDog system would leave me only something like 20-30k on my internal drive. I needed a second drive. Initial enquiries to retail outlets in my vicinity offered the Amstrad 3in. job as the only possibility. It would merely have doubled my storage capacity, which would not have been nearly enough. More ferreting paid off with the KDS 5.25in. drive which gives just under 800K under RAMDOS, which is with it on disc. Phil Craven's review of the Siren 3.5in. drive in the February issue provides yet another option. So the BullDog duly arrived on a 3in. disc, complete with a detailed sysop's manual. The disc was in PCW format but an on-line jaunt to the Winchester Remote extensive CPM files area provided me with a utility called FORM3. which enabled me to copy the system files to the 5.25in. drive, translating them into CPC-readables in the process. A front-end was provided specifically for the Linnet, plus other optional fronts for WS4000 and Pace Series 4 modems. Assembling relevant files was done easily, with helplul step-by-step instructions. An idiol-proot configuration program enabled the setting-up ol bulletin texttiles. special-interest message areas and file areas. Soon the day arrived when, preparations complete, my new-born board went on-line. I waited for a test call from friends. Everything worked except Confucius he also say, "CPC owner setting up BB with Linnet had better check ROM version number." Access at 1.200/75 baud was random to say the least. Another week or so of tinkering up, with the front-end came to nought. Then fellow CPC sysops Ian Potts and Keith Pomfret gave the wink. The old version 2 ROM was patently unsuitable lor auto-baud scanning under much BB software Pace agreed with that diagnosis and exchanged my chip lor the new version 3. Access at both V21 and V23 became smooth - all systems go. RS232 interface to connect modem to computer. Auto-answer/auto-baud scan modem, e.g.. Pace Linnet (Pace - 0274 488211) or Miracom WS4000. Miracom is offering half-price modems to genuine sysops. Contact it via Nestor (0635 523811). Suitable BB software. Contact the boards listed for advice on Scrolling software; Blane Bramble (01-272 0539) for BullDog or Andy Keeley for viewdata (Prestel MBX 323647004). A suitable telephone line/socket. A second domestic line costs about £115 to install if you do not want to tie up your voice line. A second disc drive giving at least 700K. e.g.. KDS 5.25in. at around £150 (KDS - 0485 32076) or the Siren 3.5in. at around £125 (Siren - 061 228 1831). Patience, blood, sweat and tears.